Yesterday was the first day of the World Cup Soccer and it kicked off with host Brasil v Croatia. which was won by Brasil (with a little help of the ref, I think). Today our boys play their first match against Spain, a repeat of the final from 4 years ago. Sadly we lost that game, so fingers crossed for a different outcome tonight! I'm not the biggest soccer fan, but I decided to show my support on my nails, by painting them orange, our national color. 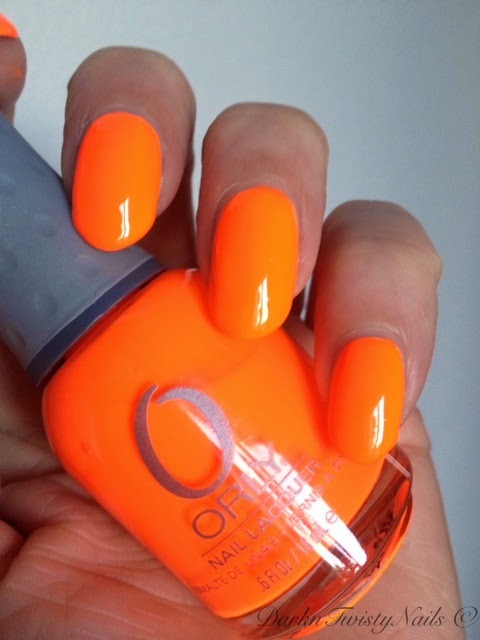 And not just any old orange, but Orly Melt your Popsicle, a bright in your face highlighter neon orange polish, perfect for this occasion! The formula is a little on the thin side... actually... it's a lot on the thin side. I always use a white base to avoid having to do 4 - 5 coats to get it opaque. Normally I don't use a white base under my neons and even though this is pigmented enough to not need it, it's so thin, I just can't deal with the amount of coats I have to do without the base. Luckily, it does dry very fast and, like most neons, a little on the matte side. Not completely matte, but not as shiny as I'd like, so a glossy top coat is a must. I absolutely love this color. 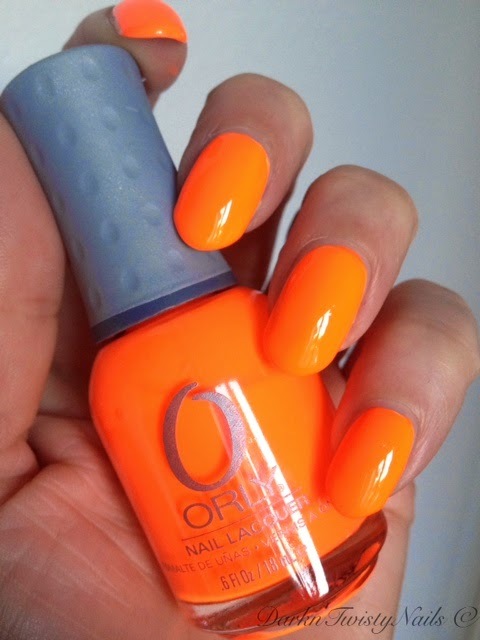 I'm a big fan of orange polish, it just suits my skin tone really well and this is one of my favorites. It's just so bright and happy, I can't help but smile when I wear this polish. 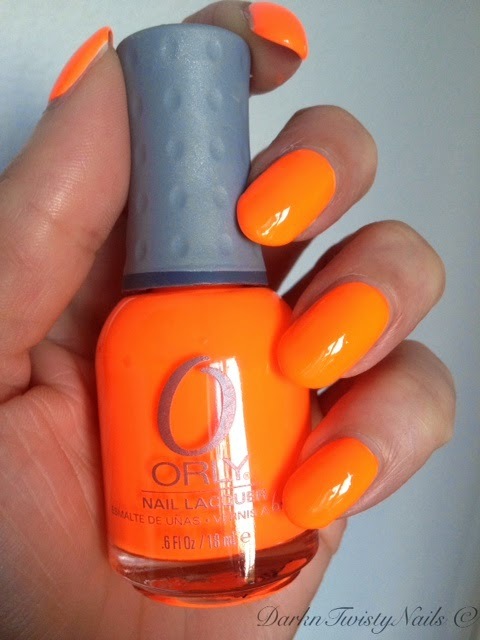 Every time I wear this polish, I get the same comment at least a couple of times: "Wow, now that's orange!" But that's exactly what I like about Popsicle, you just can't hide the brightness. I'll be watching the game tonight and cheering my Dutch guys on, will you be watching and what country are you cheering for? Mooie tint oranje vind ik het! Dank je, hij is echt heel gaaf!